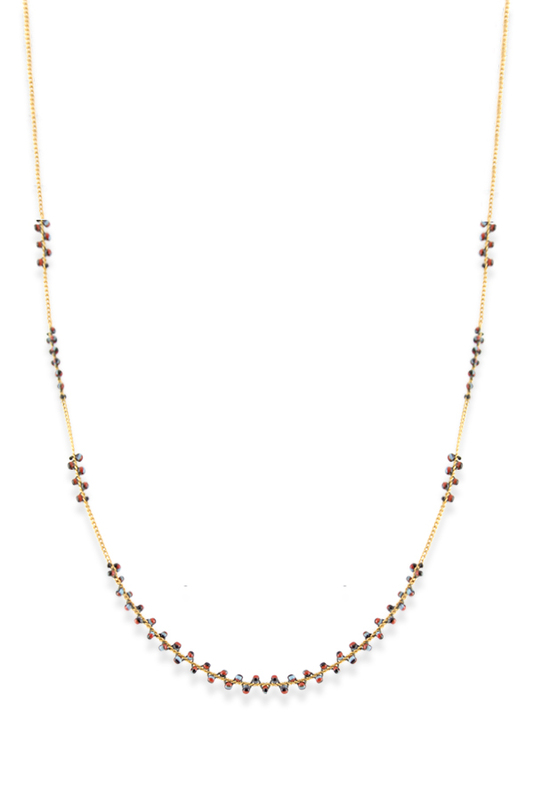 Gold-tone set of two necklaces that can be worn together or separately. 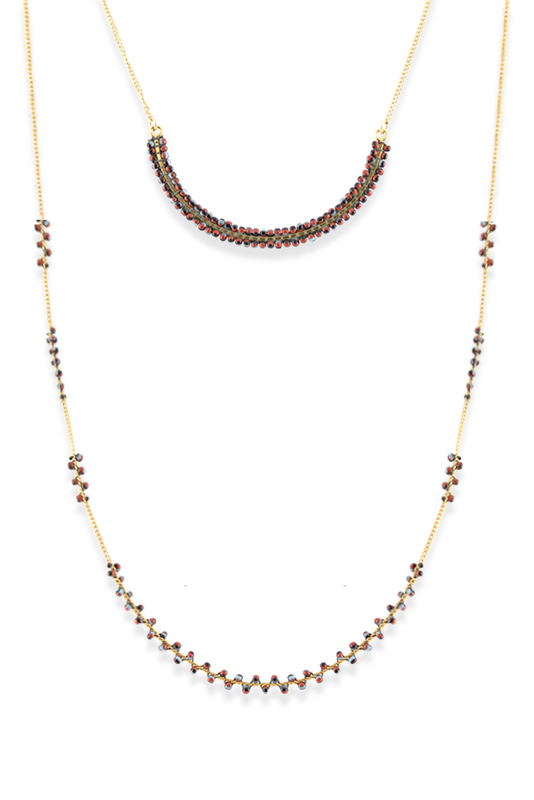 Shorter necklace with a beaded curved motif, measuring 14.5" long. 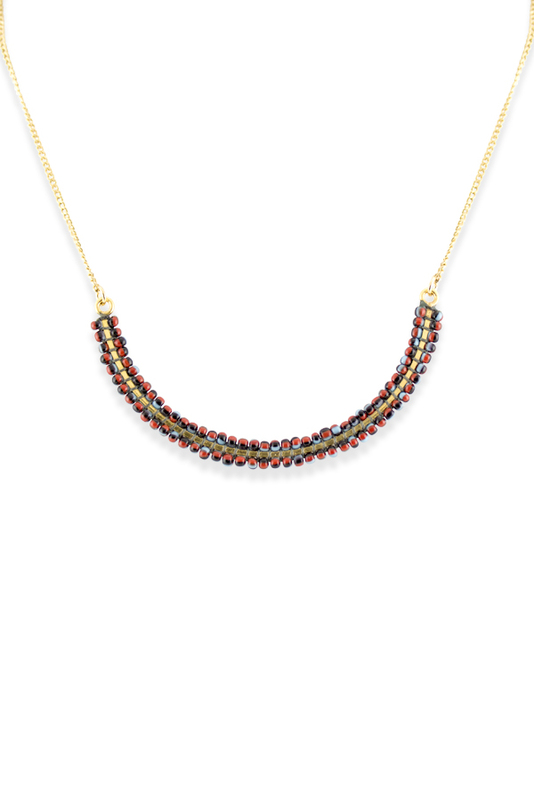 Longer necklace with embedded beads, measuring 29" long.